This weekend seminar will be covering herbal solutions to today’s most challenging health issues. All dates, topics and locations are subject to change. No refunds. Seminar tuition may be applied to future SPofSCC seminars. 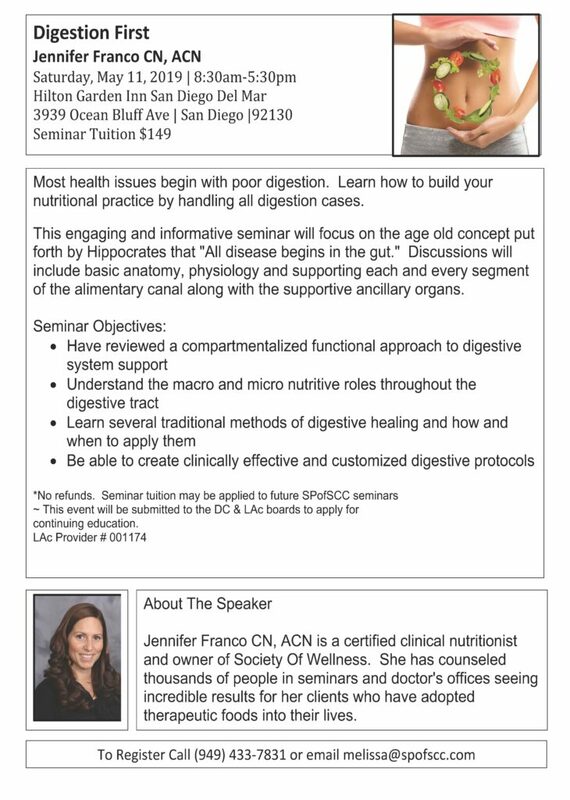 All (8 hr) seminars are approved for the Applied Clinical Nutritionist program. All (8 hr) seminars have been applied for ceus for DC & LAc, and are awaiting approval.